Technology Visions Analytics, a technology and business consulting firm, is celebrating its 25th year of providing consulting services to the professional audio industry. Technology Visions Analytics offers global market research and analysis with studies customized for individual clients. Services also include new product development assistance, component sourcing, and product distribution and market introduction planning. 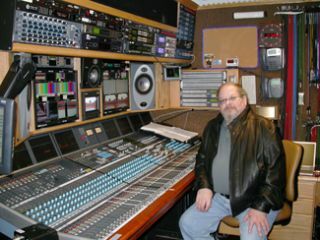 Founder and principal Frederick Ampel, who has an MSEE from Boston University, also provides live mixing and recording services using skills gained from four decades experience with companies such as ShowCo, Audio Concepts, Inc., WGBH in Boston, and the BBC in the U.K.
"I saw the need for a global marketing research and product development service in our pro audio industry, and I’m proud to have completed multiple projects for more than 75 major clients," said Ampel.